This weekend is The Romance Festival 2014, an online get together of authors, publishers and readers of romance, organized by Harper Collins in conjunction with others such as Harlequin, Piatkus, and The Romance Novelists' Association. 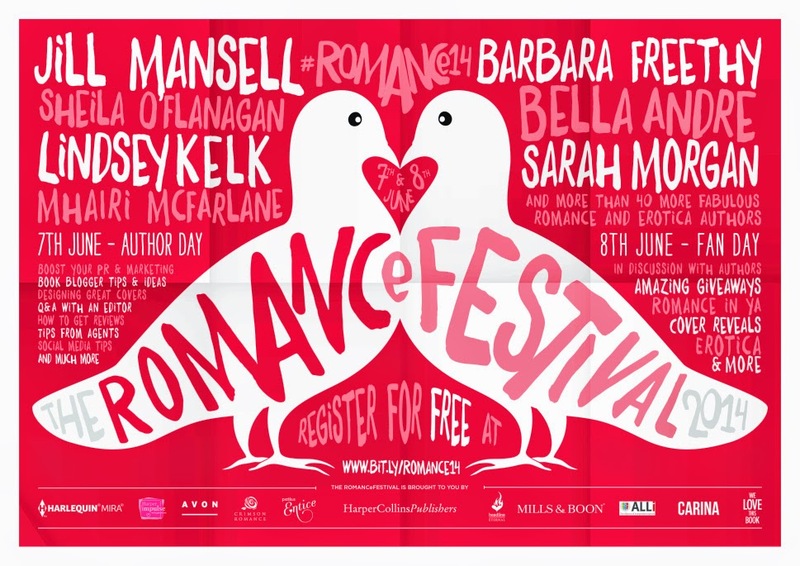 Day 1 of the Romance Festival (Saturday 7th June) is for all the romance authors out there, with professional development including writing advice and PR tips. Day 2 of the Romance Festival (Sunday 8th June) is for all the romance fans! This will include opportunities to chat online with romance authors, as well as giveaways and more. Best of all, the Romance Festival is free!